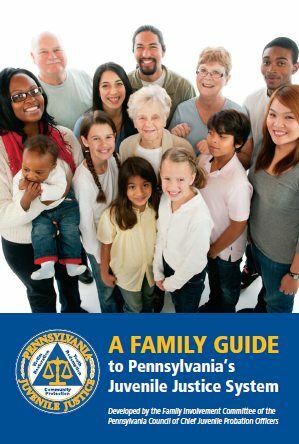 This guide is designed to help families understand PA�s juvenile justice system and be better prepared to work closely with juvenile justice staff to promote positive outcomes for children. A pamphlet and video (available in both VHS and DVD formats, please specify) describing how Pennsylvania is achieving the principles of and implementation of the Balanced and Restorative Justice Model in the Juvenile Justice System. Developed by Allegheny County Juvenile Court, this report card addressed to the citizens of the County, lists outcome measures for the 2002 calendar year. The outcomes are measured at case closing in accordance with the standards of Balanced and Restorative Justice. The second installment of the Alleghency Report Card detailing the results of aggregate information from closing reports. Veteran Allegheny PO honored during Juvenile Justice Week. This is a Powerpoint presentation that describes the basic principles, core values and workings of the Balanced and Restorative Justice Model(BARJ). A pamphlet in the Best Practices Guidelines series designed to be a 'how to' book on developing participation by crime victims in Community Justice Panels. The Building Bridges manual was developed by the Court and Community Collaboration Committee to enhance Court and Community connectedness. This booklet contains the section for Community Members. The Building Bridges manual was developed by the Court and Community Collaboration Committee to enhance Court and Community connectedness This booklet containg a section for Court Professionals and a section for Community Members. The Fourth Annual Chester County Juvenile Justice Week Recognition Ceremony, held on Thursday, October 5, 2006. A Powerpoint overview of the White Paper developed to further the understanding and application of Competency Development. TheToolkit provides the basic information and resources needed to help juvenile probation officers and other juvenile justice professionals minimize the problems in obtaining appropriate education and special education services in placement as well as when they are released and reintegrated into their communities. Judge Capuzzi Honored, Restitution Program, Community Restorative Justice Forum, New Faces, Crime Victims Center, GPS Monitoring. Fayette County Juvenile Justice Journal for January 2007. Articles on Victims Getting Their Share, Students helping out in the Community, Santa visits the JPO, Fayette Co. Youth Commission, and departmental information. Lehigh County's Community Report with articles on College Mentoring, Community Service Recognition, Worksite of the Year, and the Mosser Center Christmas Party. Lehigh County's Community Report with a theme of Making Good Choices. Lehigh County's Community Report with articles on Youth Crime and Violence Task Force, Serious Habitual Offender Action Plan, Operation Night Light, and Project Safe Neighborhood. A Brochure developed by Montgomery County to explain issues surrounding restitution to probationers. A Brochure published by Montgomery County presents a summary of Balanced and Restorative Justice that discusses BARJ principles, along with emphasis on victim and citizen involvement. Fall 2003 Installment of the Pennsylvania Juvenile Justice Newsletter; featuring the Washington County Community Services Program, Luzerne County's Operation Patriotic Price, Philadelphia County's Youth Violence Reduction Partnership and Alleheny County's Community Mediation. Pennsylvania Juvenile Justice Newsletter for the Spring of 2006. Highlighting: The Talents of Our Youth, America and Me: What do I See?, From Rough Start to Strong Future, Freedom: It's an American Feeling We All Share, The Pennsylvania Conference on Juvenile Justice and Youth Awards Program, Lycoming County Drug Court: A Successful Graduate, and A Learning Experience to Last a Lifetime. Dennis Maloney's presentation on Requirements on Successful Reentry. A survey conducted to determine the public's awareness of Balanced and Restorative Justice and the public's support of the concepts embraced by Balanced and Restorative Justice (BARJ). News Article from the Pittsburgh Post-Gazette talking about Teens serving their community as they "serve their time".